Not long to wait, now. Ultimate Marvel vs Capcom 3 is already available on PS4, but it will soon be made available to Xbox One and PC players, too. Capcom had already promised that other platforms would be getting a port of the beloved crossover fighter this year, and it looks like they will make good on that promise. Today, the publisher announced that Ultimate Marvel vs Capcom 3 will be launching on PC and Xbox One on March 7. That’s not all, either- the game will also get a limited physical release for PS4 and Xbox One on March 7. The physical release will cost $30 (as opposed to the digital version, which is only $25), and will come with some goodies, too. You can check out the list below. 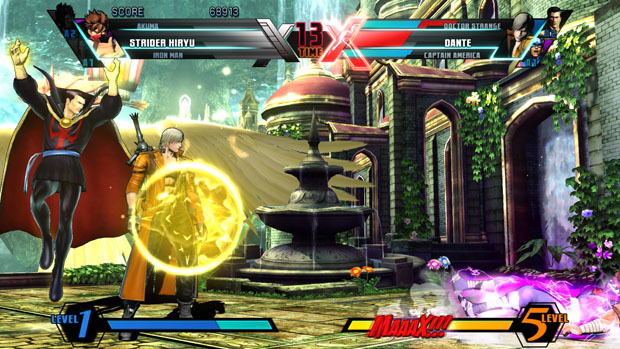 You can also check out our review of the Ultimate Marvel vs Capcom 3 re-release on PS4 here. Stay tuned to GamingBolt for more Marvel vs Capcom footage.